The Hickory Music Factory (HMF) hosts dozens of events and programs in the Catawba community and serves over 20,000 people each year. The majority of these programs are free and open to the public and reach out to all ages, from children to seniors. Below is a list of programs and classes the Hickory Music Factory hosts and sponsors throughout the year. For more information on dates and times, please visit our calendar page. Hickory Music Factory hosts open mic nights in the community. This is a great platform for students and musicians of all abilities, to come out and perform. The HMF Open Mic night is held the last Saturday of the month. HMF instructors have experience in teaching African drumming and leading “drum circles” for schools, organizations and workshops. Community drum circles are informal gatherings of people who meet for the purpose of playing drums together. They often take place in public settings with instrumentation centering around drums and percussion. The drum circle offers equality because there is no head or tail, including people of all ages. The main objective is to share rhythm and get in tune with each other and themselves. 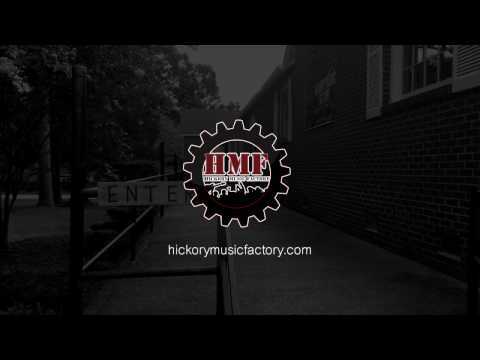 Hickory Music Factory offers unique musical experiences for people of all ages and special needs populations. During our musical petting zoo, you will learn the history of select instruments and will be able to “pet/play” and explore different instruments. The Hickory Music Factory hosts a music program call Rock to ROCK! This program talks about the history of instruments and where they originated. From “Rock” (aka caveman days) to “ROCK” (aka, rock n roll) you will see how and why select instruments were influential in the formation of this musical style. The Hickory Music Factory Folk Ensemble is a group that meets weekly. Students explore playing in an ensemble setting while learning traditional and contemporary folk tunes. They perform at varies places towards the end of the semester. Instruments in the ensemble include guitar, violin, ukulele, cello, mandolin, banjo, percussion, bass, and voice. The HMF Big Band is an auditioned ensemble of 12- 18 advanced high school musicians. This program teaches music leadership skills while building on techniques learned in public school jazz bands. Band members will develop ensemble and improvisation skills and refine jazz styles. There will be an emphasis on the masterworks, performers, and composers of jazz tradition. Each session includes one rehearsal each week and a community performance. 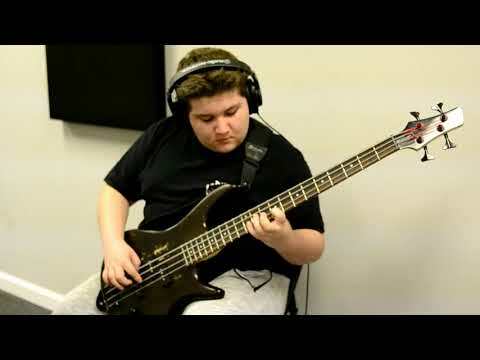 The HMF Jazz Combo is an auditioned class of 5-7 middle and high school musicians. Students will learn to perform in a small jazz ensemble. Band members will play songs from lead sheets, develop basic jazz improvisation skills, and learn the role that their instrument plays in this context. Each session includes one rehearsal each week and a community performance. The Hickory Music Factory brings national and regional artists to our area for clinic. This is a great way to help teach and preserve music in the community. Students from the area have an opportunity to perform with a professional Rock Band in our annual Hickory Music Factory Student Concert. The concert draws over 100 students each year and works with over 10 instructors in the community. In addition, HMF also hosts traditional recitals with their students and focus on jazz, classical and original pieces of music. The Hickory Music Factory partners with the Hickory Parks & Recreation Department and offer community music lessons once a quarter. These lessons are free Hickory City residents. Guitar instructor Tony Eltora and drum instructor Rick Cline, host Hickory Music Factory’s annual Rock Camp. Students have the opportunity to be part of a week long camp and see what it’s like to be in a rock band. The week ends up with a concert for the community. The Hickory Music Factory offers classes focusing on recording and recording software. Students learn about the recording process and its history. In addition, students are able to use the recording studio to record their bands and their projects.